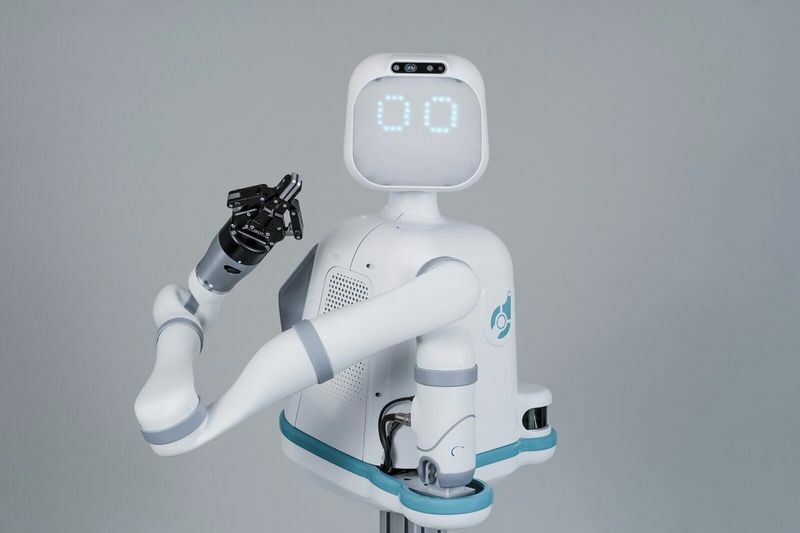 Introducing Moxi, a robot created by Texas-based Diligent Robotics, who is a friendly AI healthcare robot that serves as a vital supporting member of healthcare. The robot is part of the professional team and conducts the team's non-patient facing logistic tasks, so the staff has more time to focus on patient care. Moxi supports clinical staff as a valued, trusted and vital member of the team by giving staff more time for direct patient care while it completes the team's logistical task responsibilities. Moxi's nodes of expression include its indicative movement by its LED eyes and head allowing Moxi to clearly and purposefully communicate what it's doing so people feel comfortable. Moxi's autonomous AI mapping and mobile base allow it to quickly and efficiently execute end-to-end tasks without assistance. Moxi's sensors help it intelligently navigate all spatial areas such as small hallways and meets all hospital standards for health safety and infection control. Moxi's flexible arm and precise gripper efficiently work in common hospital environments including those with high shelves and varying sized supplies. You can see the Moxi robot in action in the video below.